We have another Crew review! It is Math Made Easy! And it is seriously easy to use. 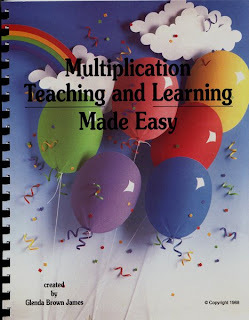 We received the Multiplication Teaching and Learning Made Easy. This program tries to remove redundancy from the learning process. You know like why spend alot of time learning the 0's or 1's when you can easily explain them, and then work on the harder problems. The book has flashcards, gameboards and other activities to make learning fun. Basically this is a six week course. You can purchase the Multiplication Teaching and Learning Made Easy for $24.95. Another great benefit is you can copy the pages for use in your own family. So, one book could last for several children. You start with a pre-test and then your child can begin the book. It is basic and easy to follow. It is not a time waster with loads of busy work. My daughter enjoys that she has been able to work to work on her own and come to me with questions. In six weeks your child can learn and have a good grasp on multiplication. 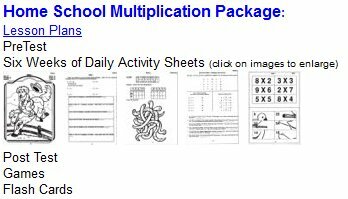 If your child is ready to learn their multiplication facts or if you just need to brush up on their facts check out this site. They also have an an Addition Teaching and Learning Made Easy, that other Crew members reviewed. 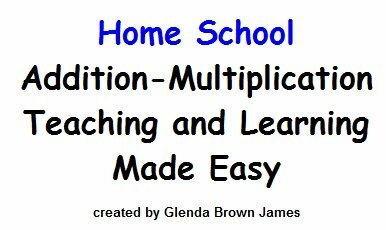 If you want to learn more about either the Addition or Multiplication versions, click on the link below to see what the other Crew Members have to say! Its always best when learning is fun. I still remember this 5th grade computer game I loved called Math Blasters! It was the best, and if there was an app imwould buy it at the age of 31 for myself. This would really help my kids learn math. This looks like a fabulous product. I'll have to check it out for my girls. Thanks for sharing.